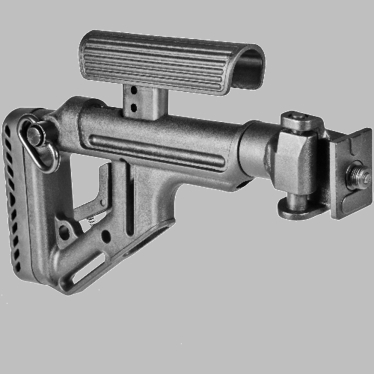 Tough folding stock for vz.58 rifles solve problems associated with the mounting of optics on these rifles. 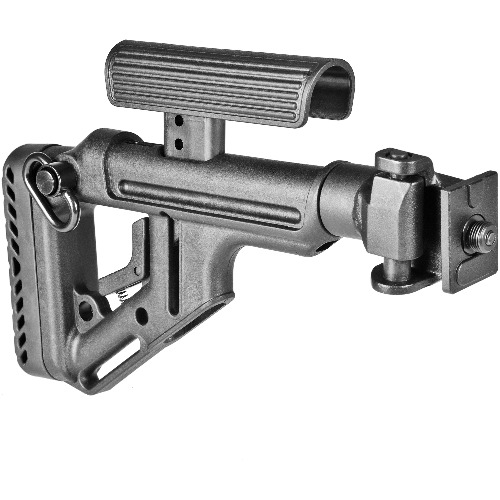 Adjustable cheekpiece places the head at correct height for optic, but collapses instantly for iron sight use. Slim stock profile allows trigger manipulation when folded. Utilizes the famous Galil folding mechanism. Solid steel adapter bolts to the rear trunnion for drop-in fit, or may be riveted or welded to receiver or trunnion for even greater strength. (Riveting or welding must be done by a competent gunsmith).